BARNAUL, February 12. /TASS/. 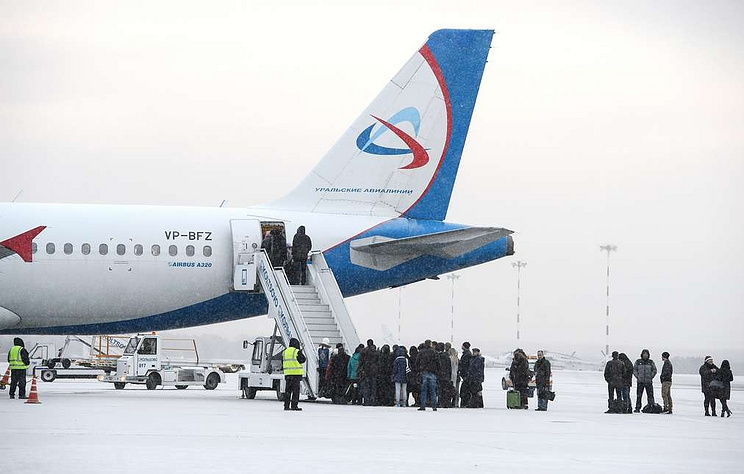 Six passengers fell from airstairs while boarding a plane at an airport in Barnaul, West Siberia, and three of them have been hospitalized, the air company’s press service told TASS on Tuesday. 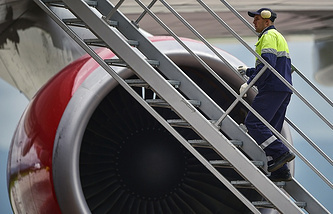 "On February 12, at Barnaul’s airport six passengers fell from airstairs while boarding a plane. Three people were sent to hospital and the other passengers were not injured. According to preliminary data, the reason for the fall is the broken construction of the self-propelled passenger stairs, which is owned and serviced by the airport," a spokesperson said. The incident occurred at 7.20 am local time (00.20 GMT). The flight was en route to Moscow. Three injured passengers were hospitalized with moderate injuries and two of them sustained skeletal traumas, but their lives are not under threat, the Altai Region’s Health Ministry said. A criminal case has been launched into providing services that fall short of safety requirements.